Ever wanted to change the shape of your phone depending on what app you're using? Well, researchers from the University of Bristol have designed a device that could one day do just that. The device is named Cubimorph and it is a small, modular device that can morph depending on the function or desire of the user. 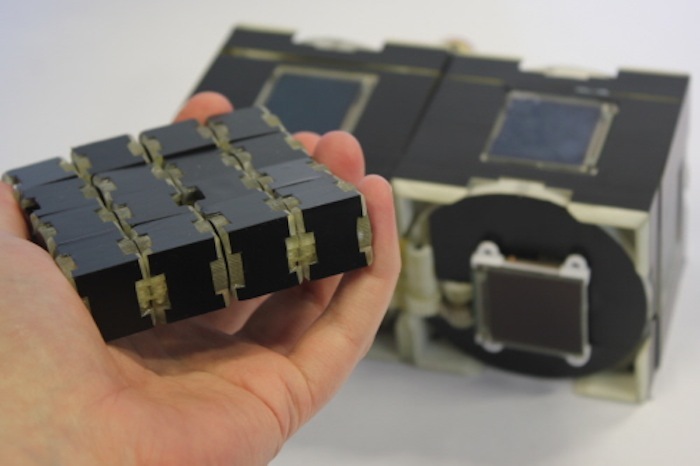 The device is made from a string of small, touch screen capable cubes that resembles that of a Rubik's cube. The device is connected by a hinge that is being controlled by two motors allowing movement across any of the edges.The project was presented at the International conference on Robotics and Automation held last May 16-21, 2016 in Stockholm, Sweden. The device can be applied to different fields being the most obvious is the gaming industry. This technology could also be used for educational purposes and to people who have impairments.While the researchers already have a clear vision on what the device will do for different users, the researchers is still struggling to create a perfect algorithm for the device. The main problem of the algorithm is that the device needs to go from one shape, to a straight line and then transform again to another shape. Either way, the future vision for the device is for everybody to create a phone that is shaped in their liking.Want to know more about this awesome device? Follow this link!